Chick-fil-A is giving away free food over the next 30 days in the Chicago area, and you can get a free 8-count order of chicken nuggets from Aug 30 to the Sept 29th. 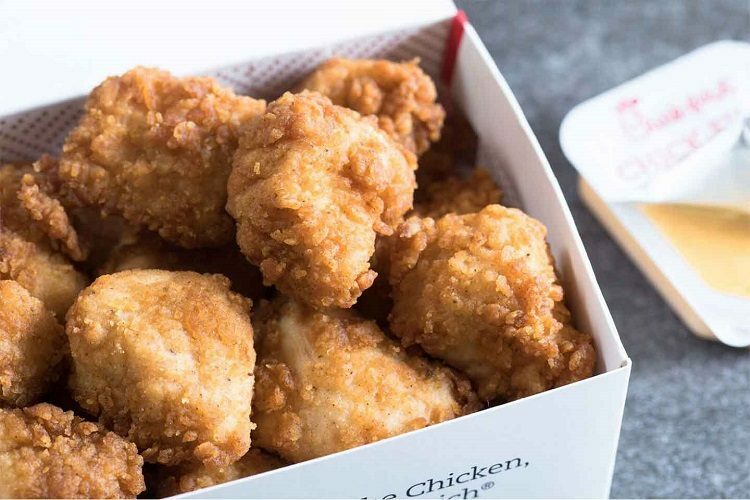 Here’s the deal: From August 30 through September 29, Chick-fil-A will treat you to a free 8-count order of chicken nuggets if you download the Chick-fil-A One mobile app and create an account or sign in to your existing account, a company spokesperson told Thrillist. The complimentary nugs offer will automatically appear in the “My Rewards” section of the app and it’s redeemable for either crispy, pressure-cooked chicken nuggets or grilled chicken nuggets at the chain’s more than 2,300 locations nationwide.